Item received in good order on the day after ordering. Good taste. Highly Recommend 1st time buy this brand, salted egg fish skin .Haven't try yet..
1st time buy this brand, salted egg fish skin .Haven't try yet..
One of my most satisfied purchases on Qoo10 ever. Delivery only took one working day and the item was so meticulously packed to prevent damage during transit. Tasted great too! Highly Recommend Very efficient delivery, one working day ! Excellent taste, good price ! Very efficient delivery, one working day ! Excellent taste, good price ! Considered cheap for the quantity. Got more salted egg yolk than other brands. This is my second buy. My family loves it. Thanks, Seller! Item was promptly delivered 2 days after order submission. Snack is tasty. delicious! my son likes it so much! Thanks, Seller! May I know whats the expiry date for the salted egg fish skin? Thank you. Thank you for your inquiry. Salted Egg fish Skin best before date is April 2019. Thank you and have a nice day ahead! Hi.. i like to buy this item tog with others.. possible to ship them tog under the same order for free shipping? Thank you for your inquiry. You may purchase other items except frozen item by choosing store pickup and provide us the voucher code number. We'll arrange it to ship together with the topshell. Thank you and have a nice day ahead! Frozen sea cucumber weight for $7? Thank you for your inquiry. 1kg for the Frozen Ball Sea Cucumber with add on $7 total $15.90. Thank you and have a nice day ahead! We've adjusted the purchase limit. Thank you for your support to our shop! Have a nice day ahead! As spoken, we'll arrange delivery to you as soon as possible. Thank you for your support to our shop! Have a nice day ahead! I saw from q10 that there are free red dates for the purchase. But after I check out for payment I realise that it does not indicate the free red dates. So can I confirm if there is this promotion? The red dates is free while stock last, due to the high volume of order, our red dates was out of stock. However, the topshell is still in a very good deals as it sell @ $9.90 buy one free one. Thank you! I wanted to purchase this offer for 2 qty to get the red dates but was not allowed, indicating that I have exceeded the limit for this offer and was charged for $28.80 instead of $19.80 when I try to check out??? Could you please adjust on your end so I can complete on my purchase. Thank you. 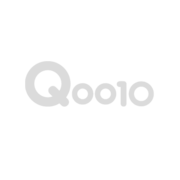 Sorry for the mistaken, we have inform Qoo10 to adjust the limit of purchase. Thank you for your support to our shop! Have a nice dAy ahead. Hi, I just tried to order again but it is still at $28.80 for 2 qty. :( Kindly inform Q0010. Thank you. Since Qoo10 already adjusted the limit of purchase in this morning, kindly inform us if have any issues in purchase the items. Thank you for your support.